Greetings from Beetsland! Chad and I have returned from a wonderful trip to the Smoky Mountains. 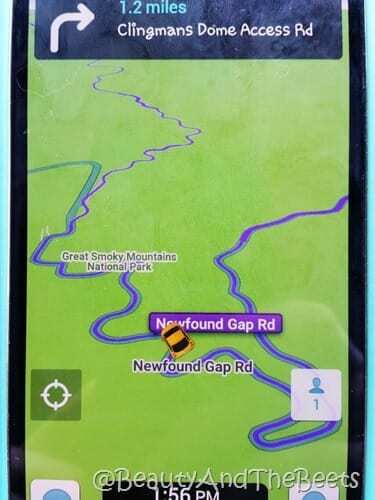 We had some delicious eats in Asheville, NC and hit some really fun attractions in Pigeon Forge and Gatlinburg, Tennessee. 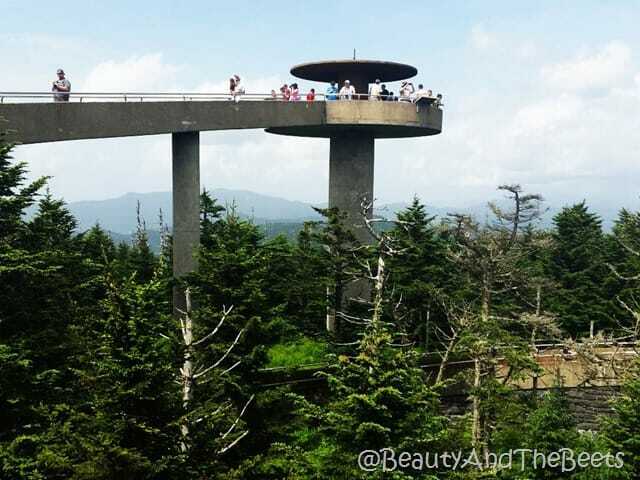 The highest point in the Smoky Mountains at 6,643 feet, Clingman’s Dome is must see. 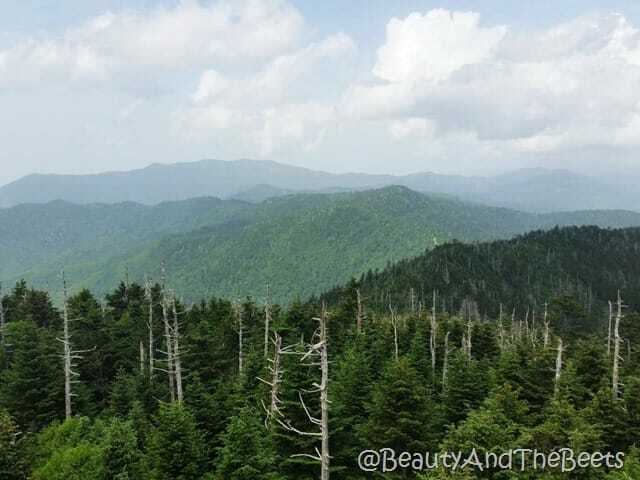 Though there is a very steep half mile climb to the top, the views from the observation tower are amazing. 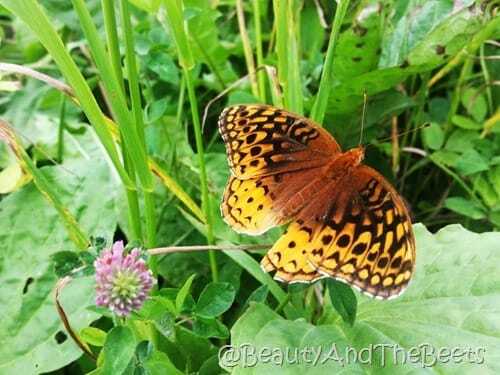 And while the views were breathtaking, my favorite part was getting up close and personal with some of the creatures that live at the top of the mountain. 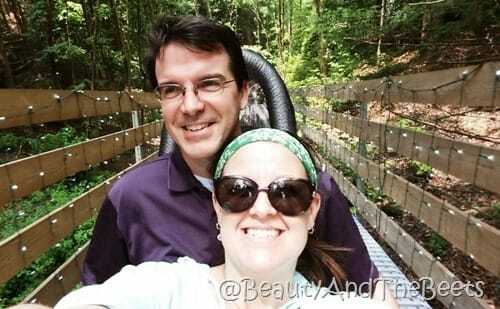 We loved Dollywood. 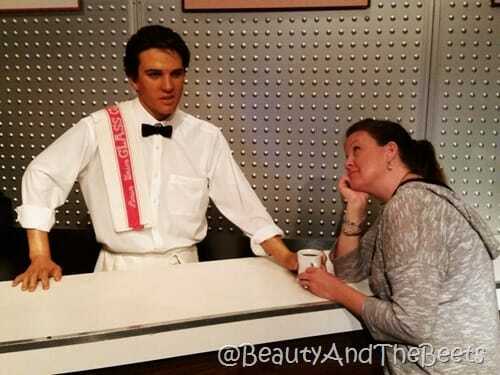 I find it hard to not compare everything to Disney, being that I am from Orlando and once worked for the mouse. 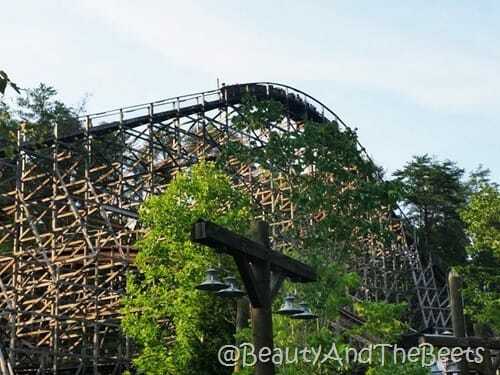 However, Dollywood impressed us. From the tour of the Dolly Parton museum to the sidewinder coaster to the summer fireworks show, we had a blast. 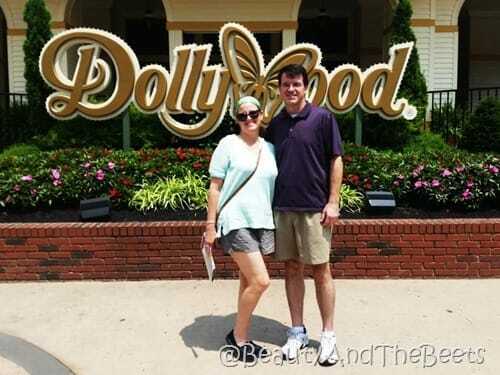 I am going to write more about Dollywood next week. One thing I will never forget is that wooden coaster- one of the most intense coasters I have taken a ride on- I expected it to be fairly mild but there was nothing mild about it. 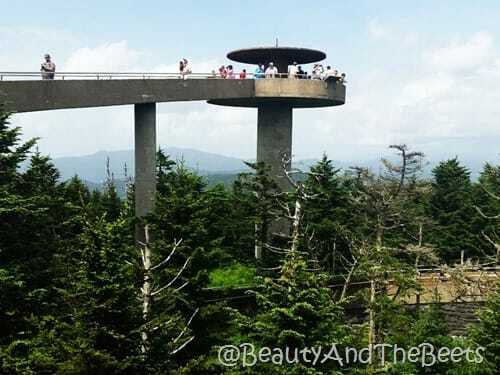 There are so many things to do in the Gatlinburg/Pigeon Forge area from shopping to observation wheels to dinner shows. 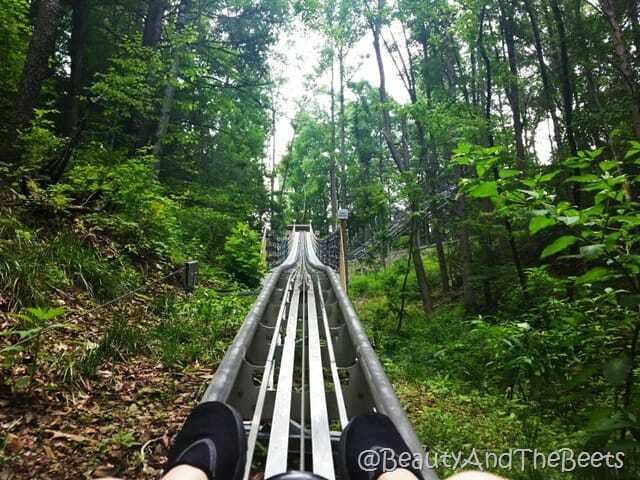 One of our favorite attractions was the Gatlinburg Mountain Coaster. 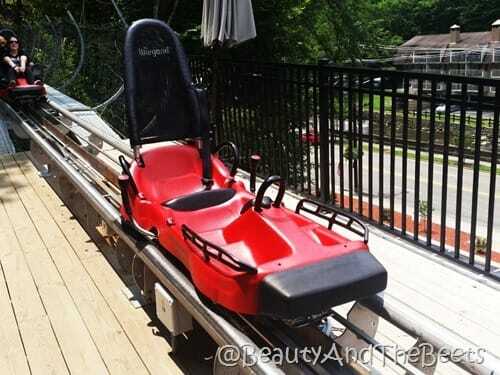 Climbing onto a two-person luge-style car, we rode up a mountain, then suddenly ended up heading back down the mountains at immense speeds, twisting and turning down the track. That was so much fun and definitely something Orlando is not able to pull off. We loved Hannah’s House of Mirrors. We got so lost- I had to keep reaching out for Chad to make sure he was real and not an image in the many mirrors. And the Outbreak, the zombie-style haunted house- sooooooo scary. 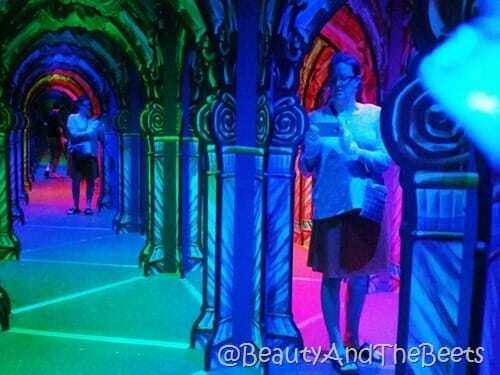 I did not dare to take pictures walking through the attraction, I would have dropped my phone for sure. Not only are there actors who jump out at you, there are some amazing special effects and trick lighting that make you question your sanity. Think Halloween Horror Nights at Universal Studios if you have been there…..only scarier. 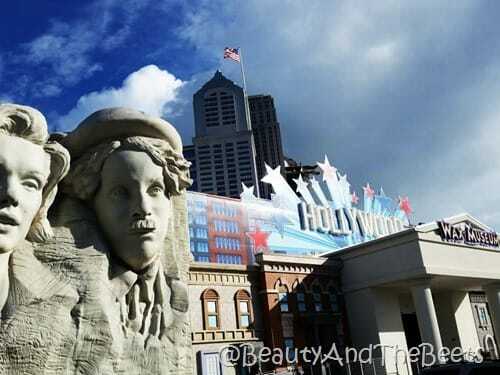 They have an amazing deal- for only $29.00 you can access all four attractions. We took a half day to drive into Knoxville just to check out some of the restaurants and sites. 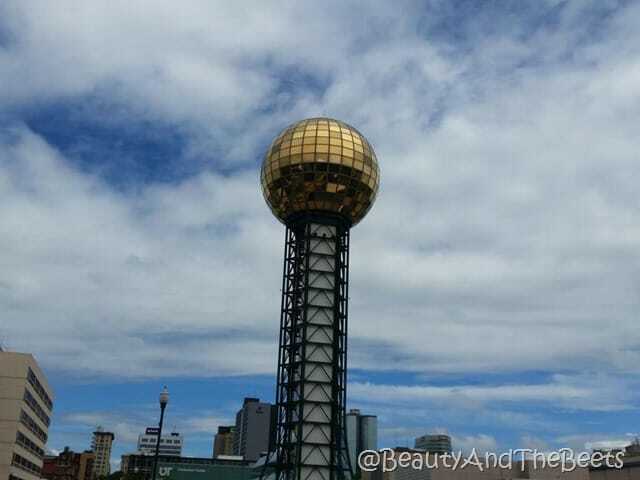 In the center of the city is the SunSphere– an icon of the 1982 World’s Fair. 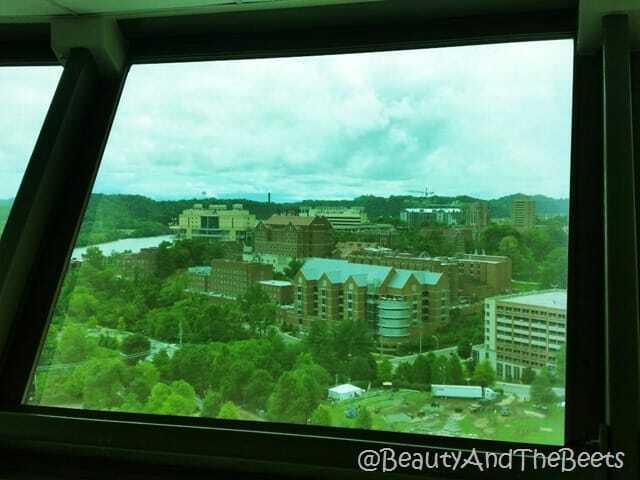 The observation level is free and open to the public and offers amazing views of the surrounding mountains, the city and the campus of the University of Tennessee. 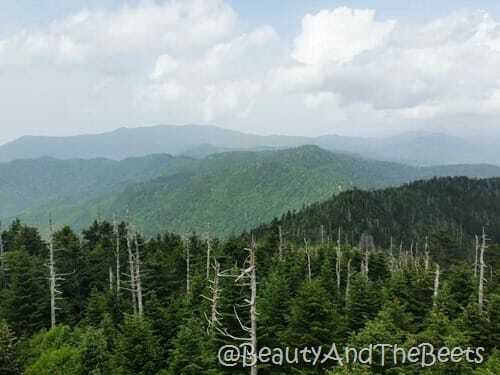 Quite possibly my favorite moment was when we had spent an hour climbing the mountains to get to Clingman’s Dome only to realize our gas light came on in the rental car. 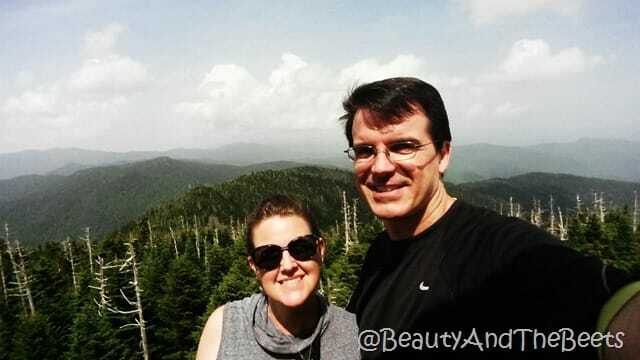 We were only about 7 miles away from the top but we knew there would be no gas stations up there so we had to head back down the mountain into Gatlinburg to fill up. And in Chad’s defense, I was driving. Oops. And that’s it from Beetsland– head over to visit Heather from Life in Leggings for more Friday Favorite reads and have a great weekend! I will be heading over to the Food and Wine Conference in Orlando. Be sure to visit me on Instagram, Facebook or Twitter to follow along on all the weekend activities! Looks like a very FUN trip 🙂 AND, I am sure it is always cooler there when the rest of us are dying in heat and humidity.